What if they didn't look like that? What if they looked like this instead? 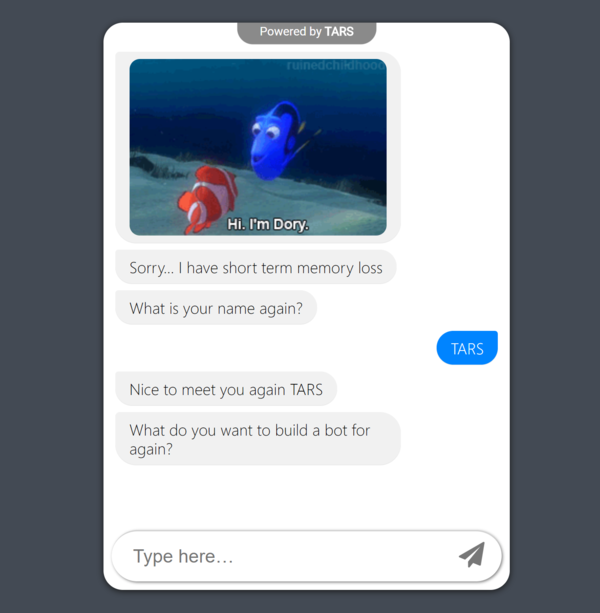 To change the way your bot looks, you will need to navigate your way to the the Design tab. 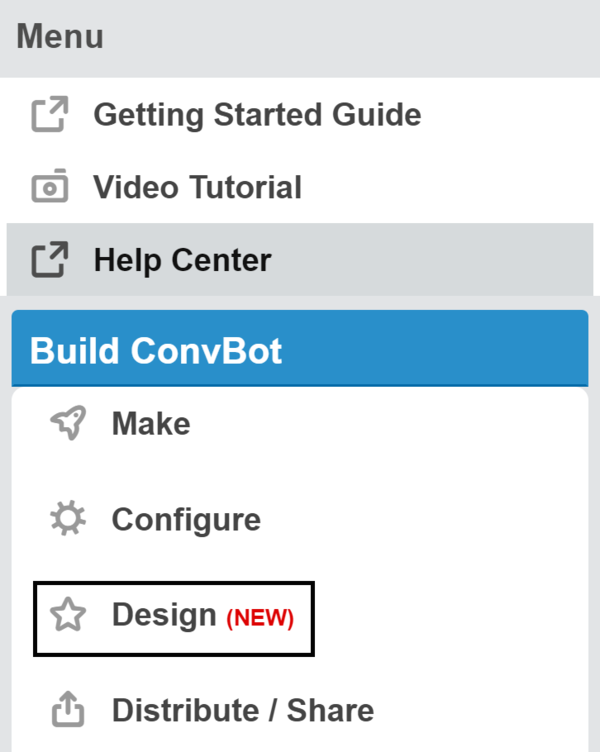 Open up a bot that you have already built (if you have not built one yet go build one right now) and look at the left side of the page for the design tab. 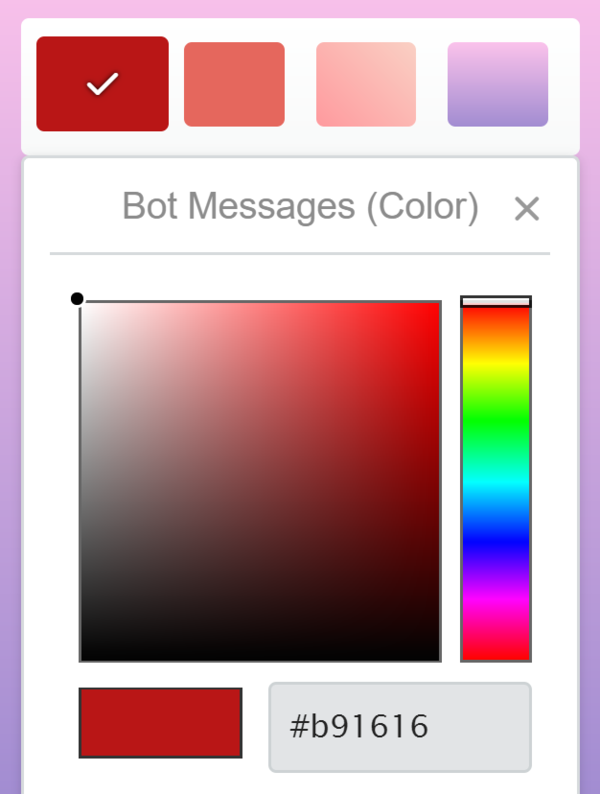 Click on it and you will see a bot displayed along with a series of colour options next to it. 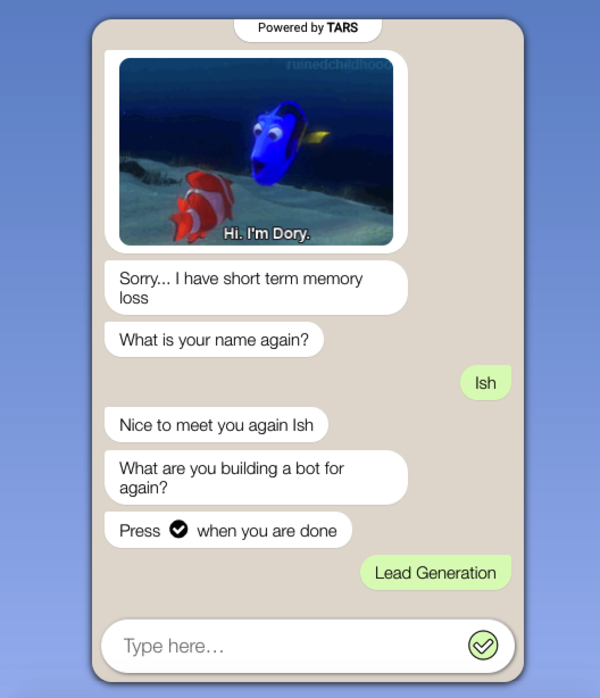 These options, from left to right, allow you to change : the bot's message bubble colour, the user's message bubble colour, the chat background and the page background. Click on the first two options and you will get a colour picker allowing you to change the colour of each characteristic. Click on the second two and you will have the additional option of choosing a gradient instead of a solid colour. Have fun making your pink, yellow and green bots.